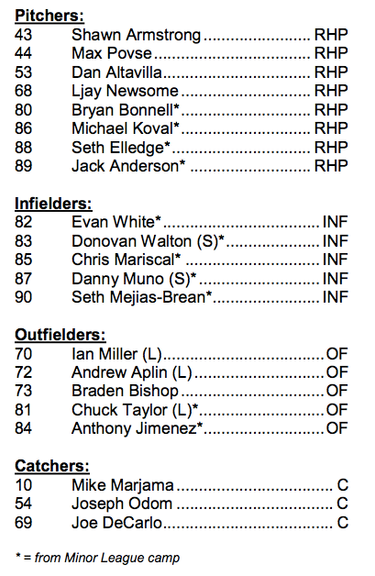 PEORIA, Ariz. — As the Mariners players exited Peoria Stadium on Sunday afternoon, following a 2-0 win over the Dodgers, Evan White was one of the last to leave the dugout area. He signed a few autographs for fans before eventually gathering his stuff to head back to the Mariners’ complex. And why not stay and soak it all in while he has the chance? He’s finally healthy and getting a chance to play baseball again. The Mariners’ top draft pick in 2017 and the No. 2 overall prospect in the minor league system, White has no more pain his troublesome left quadriceps — a nagging injury that ended his first professional season prematurely. 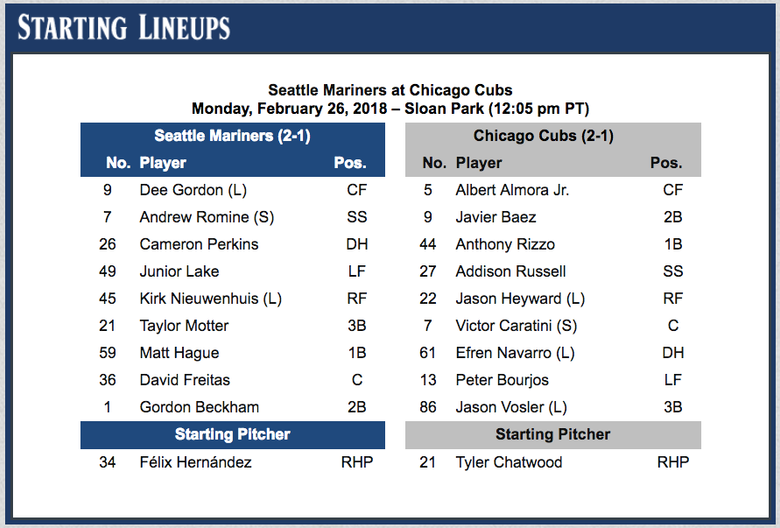 And with first basemen Ryon Healy (hand surgery) and Daniel Vogelbach (foot contusion) dealing with injuries, the Mariners have decided to bring him over from minor league camp regularly to play late in games. For White, he’s just happy to be on the field without feeling pain in the upper part of his left leg. It was an injury that started in his junior season at the University of Kentucky and nagged him into his pro debut with Short-Season Everett. The Mariners eventually shut him down after he re-strained the quad. He played in just 14 games with the Aqua Sox, hitting .277 with an .877 on-base plus slugging percentage, a double, a triple, three homers and 13 RBI. When White re-strained the quad, the Mariners sent him to their complex in Peoria to get the leg completely healthy. No more pushing him until it was taken care of. It took some time to get it back to normal. The opportunity to play in Cactus League games in front of the big league staff isn’t lost on him. But seeing Kershaw snap off nasty breaking balls in his one-inning of work was also reminder that the same game he experienced as a kid has been elevated in talent level. 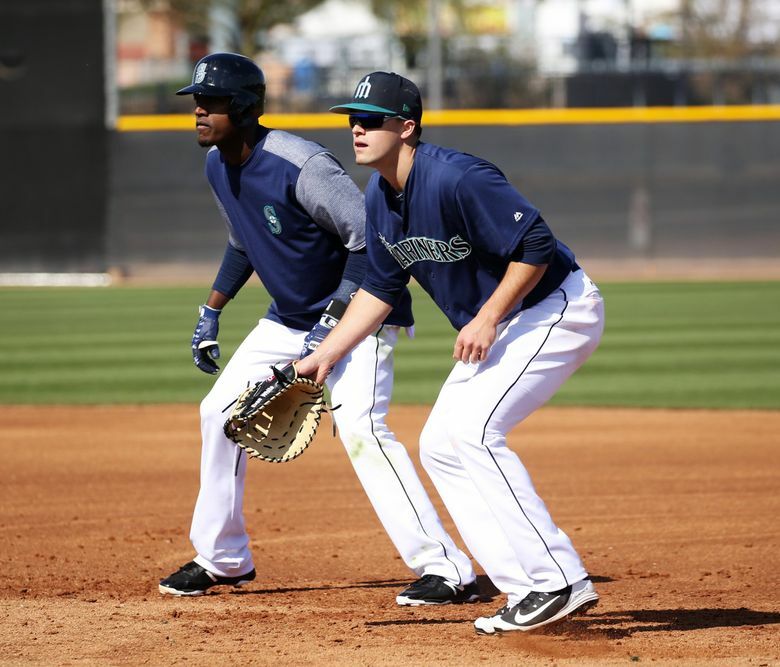 White’s maturity and athleticism have impressed manager Scott Servais. Playing in these games with big league players can be beneficial in terms of understanding preparation and experience. White has always been considered an elite level defensive player at first base. He showed that in brilliant stretch where he dropped into the splits while picking a short-hopped throw. For White, the play was all instinct and reaction. *** Nelson Cruz’s left wrist felt fine a day after being struck by a fastball from Dodgers reliever Tom Koehler in the second inning. Cruz remained in the game and didn’t require a x-ray postgame. *** First baseman Daniel Vogelbach (foot contusion) had his walking boot off and planned to go through the Mariners workout on Monday.